John Keoni Viriyapunt, known to his friends as Keoni, grew up in Kailua, Hawaii. Keoni spent much of his time at the beach, body boarding & surfing. At age 19 he took up beach volleyball, playing on the sand at Waikiki beach. Keoni later moved to San Antonio, Texas to complete college, where in his off time continued his pursuit of beach volleyball. Keoni has competed in many beach volleyball tournaments across the country including California, Colorado, Florida and all parts of Texas. In 2001 Keoni earned his AAA rating, ranking him then, one of the top 10 players in Texas. Late in his career, Keoni also competed in several AVP qualifying tournaments. 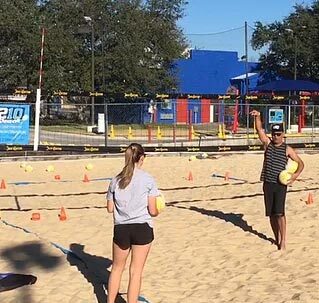 Now having played beach volleyball for more than half his life, Keoni is devoted to sharing his knowledge of the sport with next generations of beach volleyball athletes as he enters his 3rd season at 210 Beach.